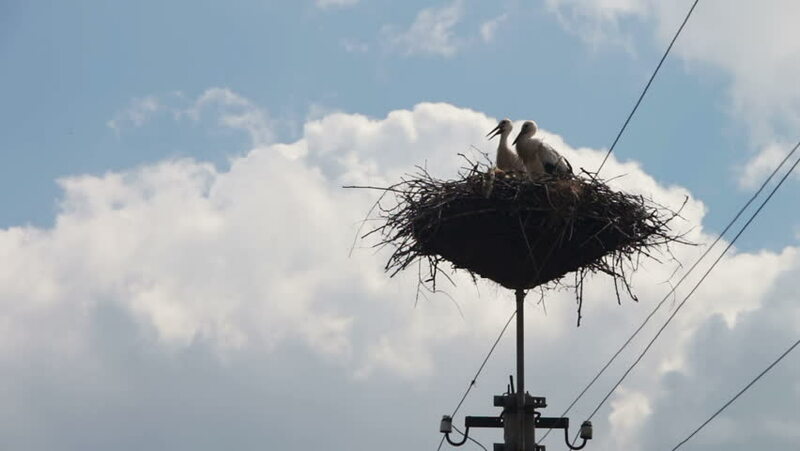 4k00:14Storks Sitting in a Nest on a Pillar High Voltage Power Lines on Sky Background. Storks Sits on a Pole and Moving Clouds in a Blue Sky. 4k00:18Storks Sitting in a Nest on a Pillar High Voltage Power Lines on Sky Background. Storks Sits on a Pole and Moving Clouds in a Blue Sky.